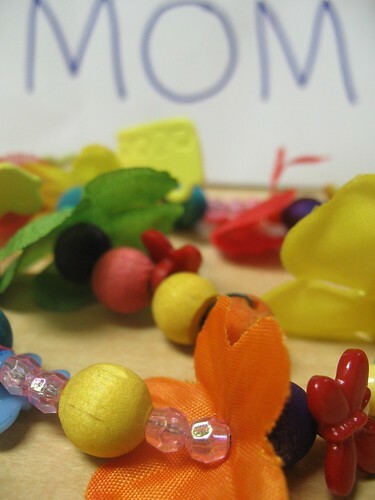 in a top-secret corner of the room, we made mother’s day bead strands which could be worn as a choker-style necklace (quite literally due to shorter-than-i-planned wire), a wrap around bracelet, or a longer necklace if mama would add a bit of string. 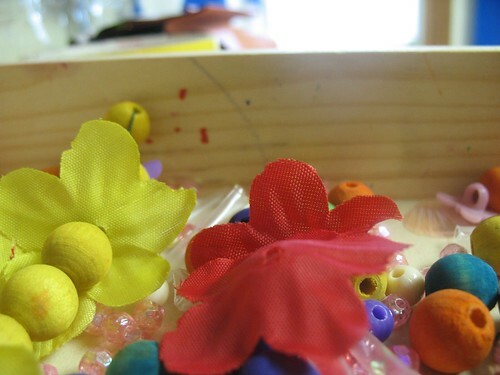 there was a random assortment of beads, cut apart leis, straws, then someone brought over little paper cups to use…oh, they were sure fancy. 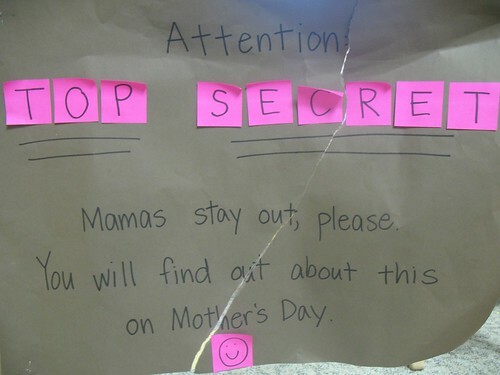 then with a little “MOM” writing and wrapping, top secret presents were taken home. I wish I could send Pops & Mei to you! Alas, you live too far away.